One of the most frequently asked questions from those who are new to acupuncture treatments is about pain. Since an acupuncture treatment involves the use of acupuncture needles, people frequently ask the question, “Do Acupuncture reatments hurt? The answer to the question about whether acupuncture treatments hurt is… Acupuncture treatments should be painless if the acupuncture practitioner knows what he/she is doing! 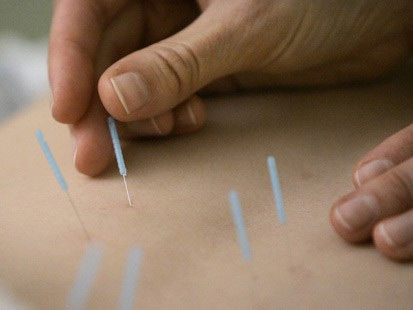 Mostly acupuncture doesn’t hurt because the needles used for acupuncture treatments are very fine. Quite often people say they don’t feel the acupuncture needle going in at all, even if they usually have a low threshold of pain. Sometimes people say that when the acupuncture needle is inserted it feels like a mosquito bite. Sometimes when the needle is inserted into a blocked meridian, you might feel something that feels like a little electric shock. That’s a good sign because it means the energy that was blocked has started to move. As a comparison, the external practice of acupressure is often more physically painful than an acupuncture treatment using needles.